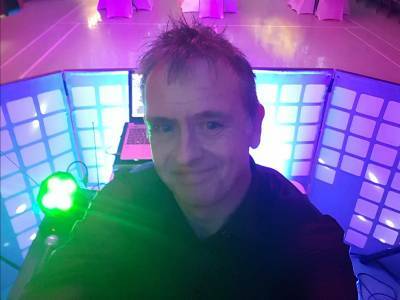 "Your Party, Our Service, One Disco"
Welcome and thank you for checking out One Mobile DiscoI am a solo operator and DJ based in Northamptonshire and provide a mobile disco service for Weddings, birthday celebrations, charity events, seasonal celebrations and themed parties. 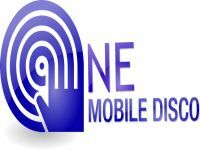 Required by many venues, One Mobile Disco has a current PLI policy with Mobile DJ Network in the amount of £10 million. Also required by many venues, One Mobile Disco has supplied satisfactory evidence of holding current PAT inspections of their equipment dated within the last 12 months. A Method Statement, outlining One Mobile Disco&apos;s Health & Safety procedure for setting up disco equipment has not been supplied. Why do people choose to book One Mobile Disco? The price and after meeting him, he’s really nice. "This Dj was fabulous, everyone is still talking about him. I would recommend him. " "Brilliant day and played all of our requests. Interacted well with everyone and was a very good dj, and matched our budget! " "Excellent! ! Played my daughters play list plus other requests kept 50 teenagers happy. Deffos recommend. " Get FREE no-obligation disco quotes from One Mobile Disco and other DJs covering your venue. Take 2 minutes to fill in some basic details and we'll do the rest! If you are contacting One Mobile Disco about an event, it's always a good idea to include the DATE, LOCATION, EVENT TYPE, AGE GROUP and TIMINGS to speed things up!